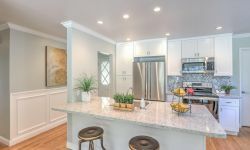 Stunning Remodeled Home near Downtown Pleasanton! 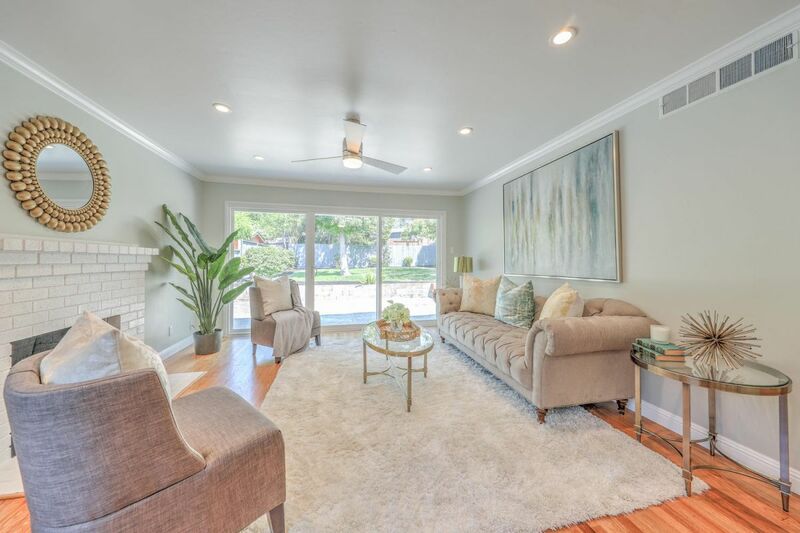 Newly renovated single story home located in this incredible city of Pleasanton, family friendly atmosphere & award-winning schools. Gorgeous brand new kitchen with white shaker cabinets, quartz counter tops, stainless steel appliances, large island & dining area. Open floor plan and great natural light. Fireplace in living room & large glass sliding doors to backyard. Beautifully renovated enlarged hall bath & master bath. Stunning wall & crown molding details. All new dual paned windows. New copper piping. Natural refinished hardwood floors. Upgraded electrical system. Recessed LED lights & ceiling fans. Home located in a quiet court with a large awesome backyard perfect for play, relax or house expansion. Enjoy the conveniences of a great location, community, charming Downtown, walk to schools & parks. Close to restaurants, shops, coffee, groceries, walking/hiking/biking trails. Farmers Market, Summer Concert in the Park, Great commute by BART or ACE train & 680/580/84 freeways. Easy to show call 888.422.9991! Investment Rental Report for Neighborhood Around 370 Amador Ct.